Debenhams is in County Mall in Crawley town centre. For Debenhams’ Christmas and New Year opening hours, see the County Mall page. 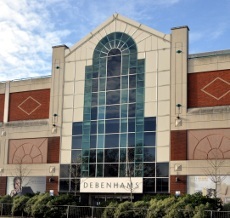 Debenhams is close to all the Crawley town centre car parks and is a short walk from Crawley train station. The County Mall north car park at level one leads directly into Debenhams.